Volume 7 contains 15 decisions in which applications were subjected to a substantive examination. In contrast to the previous volumes, this volume contains an anomalous decision on a formal application, where a fundamental question on the matter of "publicly-owned property" is discussed for the first time. 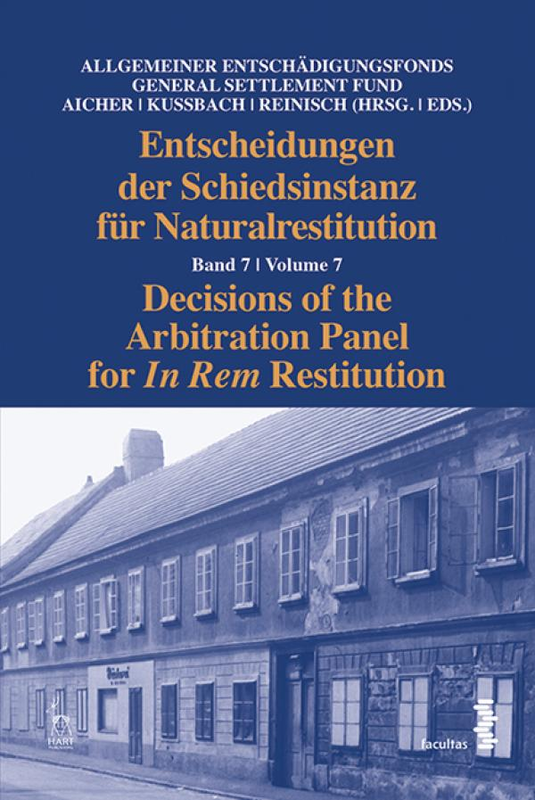 In the decisions published in volume 7 the Arbitration Panel examined properties situated in the provinces of Vienna and Carinthia. Two of these decisions recommend in rem restitution (no.533/2009 and no. 550/2009).